It can be incomprehensible to be accused of a crime that you did not commit and may not have had anything to do with. Even worse, there is no guarantee that the charges will be dismissed or that you will not be found guilty down the road. Unfortunately, being falsely accused does happen. If you find yourself being falsely charged with a crime, you need to take immediate action to protect yourself. Realize the seriousness of the accusations. You need to understand the seriousness of the offenses and the potential penalties that you could face. Even though you are innocent, you cannot assume that the police, prosecutor, judge, or jury will see the case your way. By taking the charges seriously from the start, you can make decisions and take actions that will increase the likelihood of a favorable outcome. Understand the cost of a defense. Building a strong defense to the charges can be expensive in terms of the attorney fees, investigation costs, and expert witness fees that you may need to pay. While it can seem unfair to have to spend money to defend against false charges, you need to do everything you can to build a strong case—your life is at stake. Intervene before charges. One of the benefits of retaining an attorney while you are a suspect is that he may be able to take proactive measures that could result in never being charged with a crime. In some all cases, he may be able to discuss your case with the police or prosecutor and provide information that convinces them that they have the wrong person. Take no action. In other situations, your attorney may decide that the better strategy is to do nothing and see if the prosecutor even develops the necessary evidence to charge you with the crime. A witness could recant his testimony or test results could support your innocence, with the result being that no charges are filed against you. Gather any physical evidence and documents. If there is any physical evidence, such as clothing, photographs, or other objects that could help in your defense, you want to collect them as soon as possible and give them to your attorney. Collect any documentation that may help you, such as correspondence, emails, receipts, GPS data, or other information to prove where you were when the crime was committed. Obtain witness contact information. You should make a list of potential witnesses who can provide helpful information about the incident, accusations, and the victim to provide your attorney. Investigation. If you are formally charged with a crime, your attorney will need to conduct a thorough investigation of the crime and the prosecutor’s evidence, interview witnesses, and retain expert witnesses if necessary. An investigation can help evaluate the strengths and weaknesses of the prosecutor’s case and your defense. Plea bargain. As unjust as it may seem, sometimes innocent people decide to enter into a plea agreement with the prosecutor where they plead guilty to a lesser charge rather than risk a conviction, harsher sentence, and permanent criminal record. Once your attorney has conducted his investigation and reviewed the evidence against you, he can advise you whether this is in your best interests. 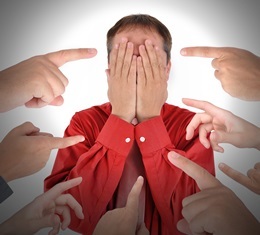 Have you been falsely accused of a crime? We urge you to call our office today to schedule a free consultation with our experienced criminal defense attorneys to learn how we can help you. How Can I Help My Attorney in My Criminal Case?